For the first six to eight weeks, strawberries grow very slowly. 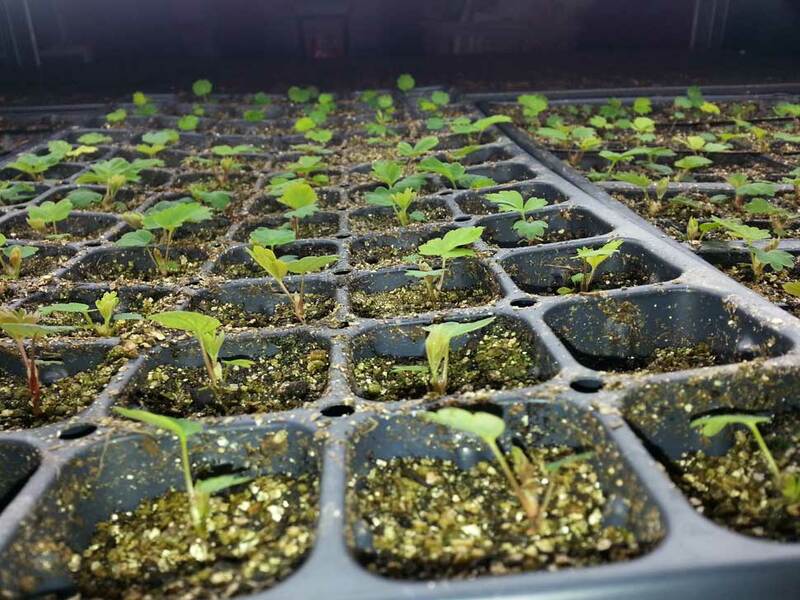 In fact, at 8 weeks old, they will be less than 1-inch in height, even though they will have multiple true leaves. This is fine, since starting them in December to January means they will not require tons of care and transplanting until further on down the road. However, even though the maintenance for the first 6-8 weeks is minimal, it does not mean that they can do well on just water and light(placed led lights 2-3 inches above the leaves). At around 4 weeks old, the plants will need some nutrients since a starting mix, like a mixture of peat and vermiculite contains no nutrients. Thus, using half-strength fertilizer or a concentration near 400 ppm will be fine. A $40 ecs/ppm meter can be used for accuracy for those of us with concerns. When starting a fertilizer routine, we can do a single feeding with fertilizer and rotate with plain water for alternate feedings. When plants in 72 cell flats are around 5-8 weeks old under a light cycle of 18 hours on / 6 off, they will need they feeding and watering on a schedule like every third night. For example, if we feed them on Monday night, they will be moist enough until Thursday night. This could potentially vary, so it is a good idea to be in sync with their needs and ensure they do not get too dry. At some point, small young plants will require a stronger dose of plant food as the 400 ppm is a little weak and the leaves could have a paler shade of green. 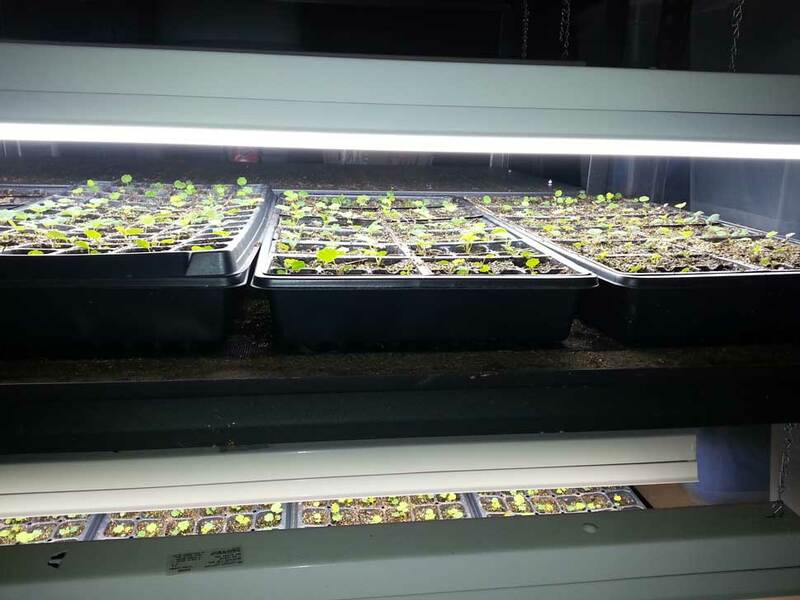 At this point a concentration from 800-1200 ppm will work fine for plants in 72 cell plug trays and the plants. We can also feed every time and skip alternating with plain water. However, every now and then we can do a little flush with plain water after weeks of regular feedings. We can do this with all plants at all stages of growth to clean and prevent salt build-up from a media. 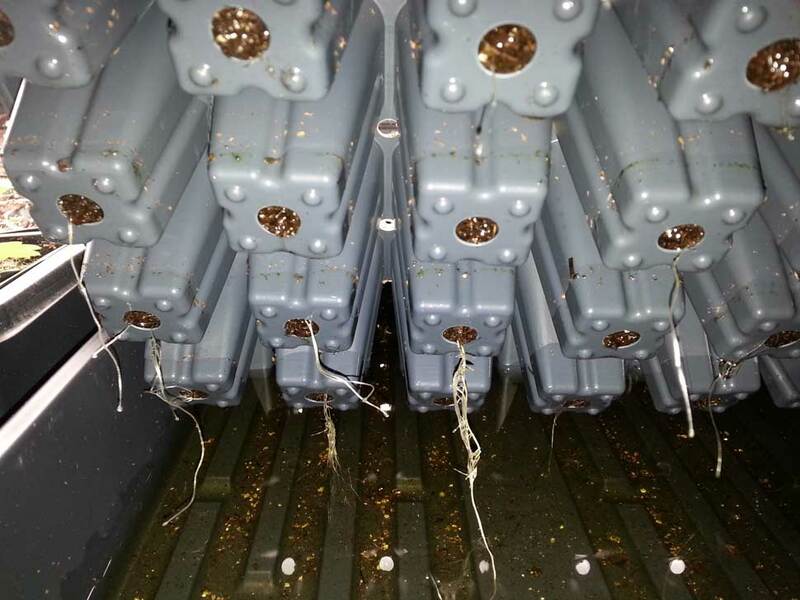 At some time around 8 weeks after germination, the seedling roots will start to grow out of the bottom of the seedling trays; especially if they are placed inside a flat that traps water. 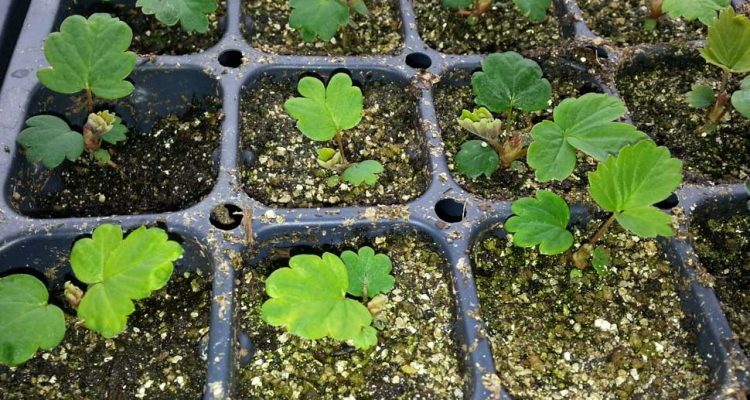 At this point we have two alternatives; transplant the seedlings to a larger 3-inch pot or place the plug tray directly onto the shelf without a tray. If the bottom tray is removed, the roots will stay in the plug tray because it is dry underneath the cell. Thus, we can water our seedlings and trap the run-off. Then, we can remove the waste and re-use it for another feeding. 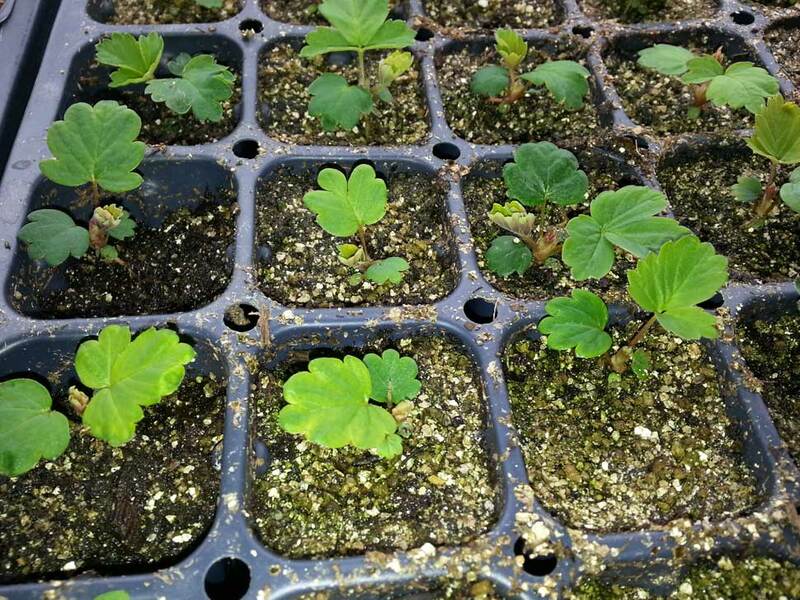 We should note that removing the tray from the plugs is a short term solution because the seedlings will inevitably need to be transplanted to larger pots before they are moved outdoors to their final home.